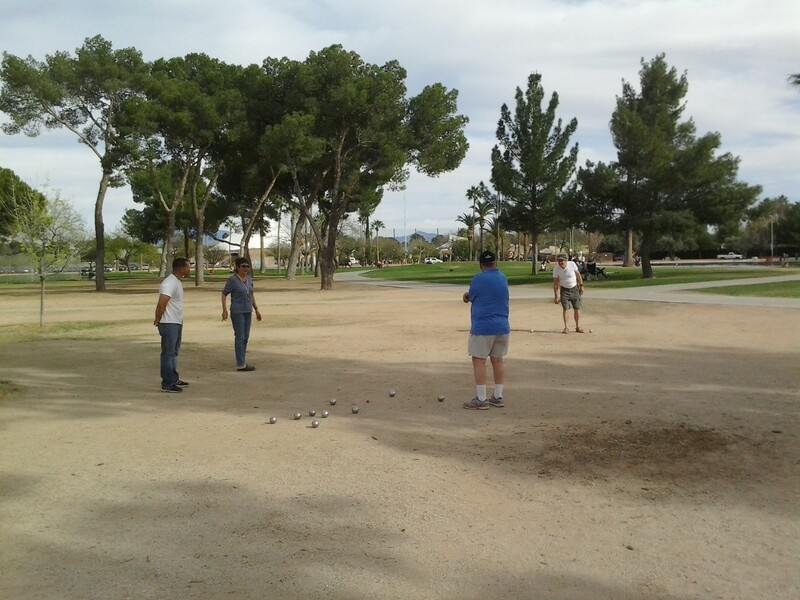 The most enjoyable way to play petanque is to play it on an open, natural, unmarked terrain. Here are pétanque terrains and players in Collioure, France (courtesy of Homage to Barcelona blog). Real-world obstacles — trees, a light post, a sewer cover. 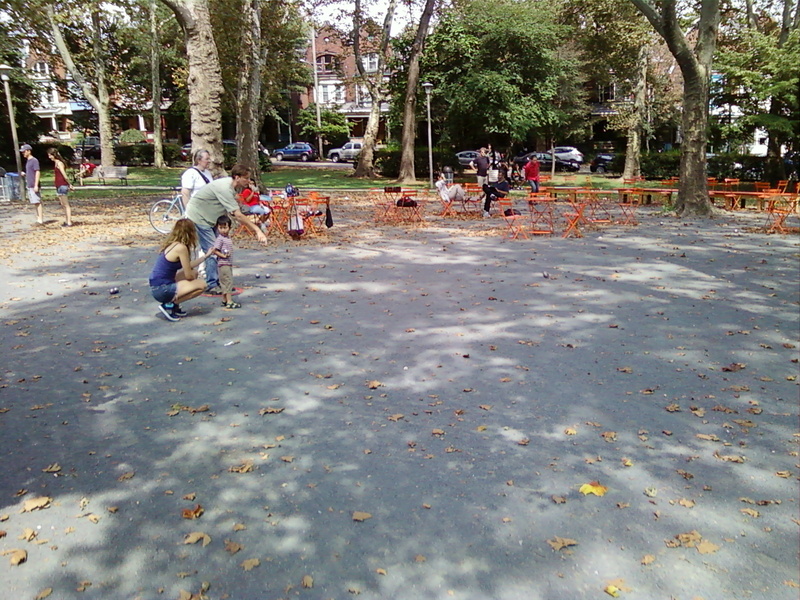 Nice shady trees, a few benches for spectators, a gentleman walking his dog. 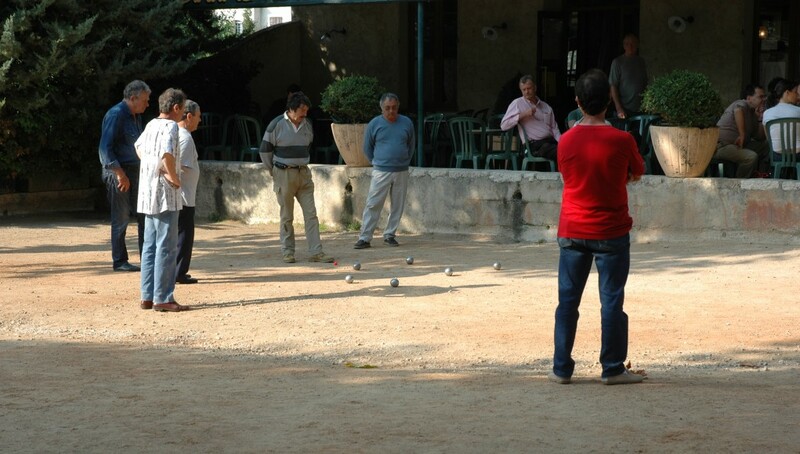 This is real petanque. Click on the picture to view it full-size. An open terrain in L’Île-Rousse, a commune in the Haute-Corse département of Corsica, France. A park in Orange, France. 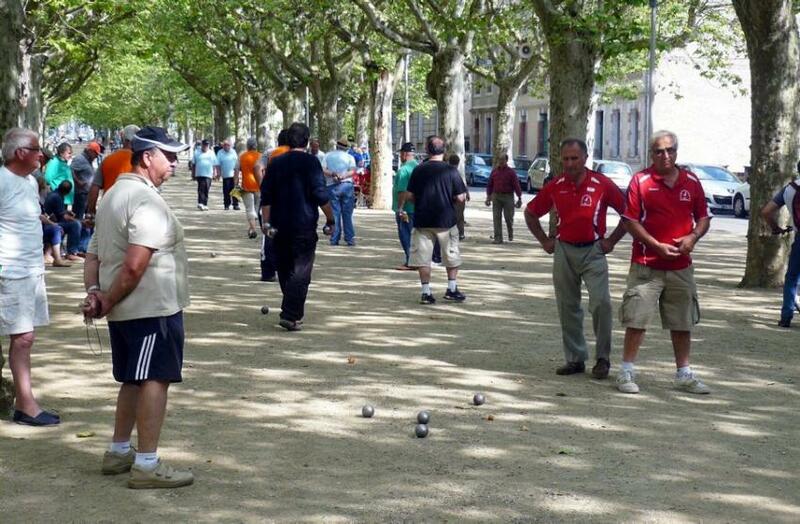 The petanque club in Revel, France holds a tournament in the town park. One of the most pleasant places I’ve ever played — Philadelphia, Pennsylvania, USA. Reid Park, Tucson, Arizona, USA. This entry was posted in Equipment, Playing area by Jules Lenoir. Bookmark the permalink. Possibly the most pleasing article I’ve read. Absolutely enchanting!